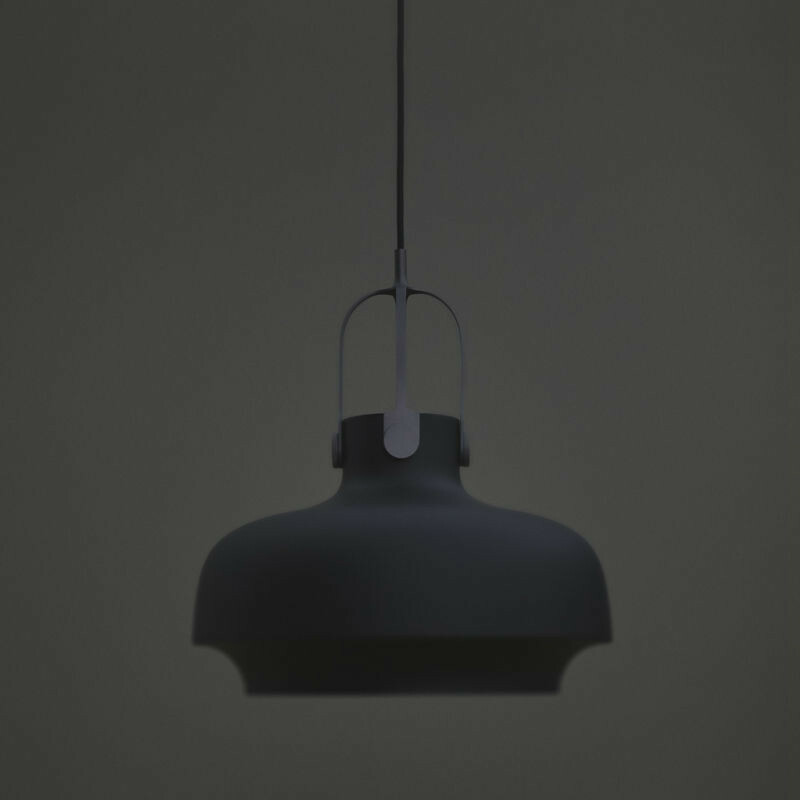 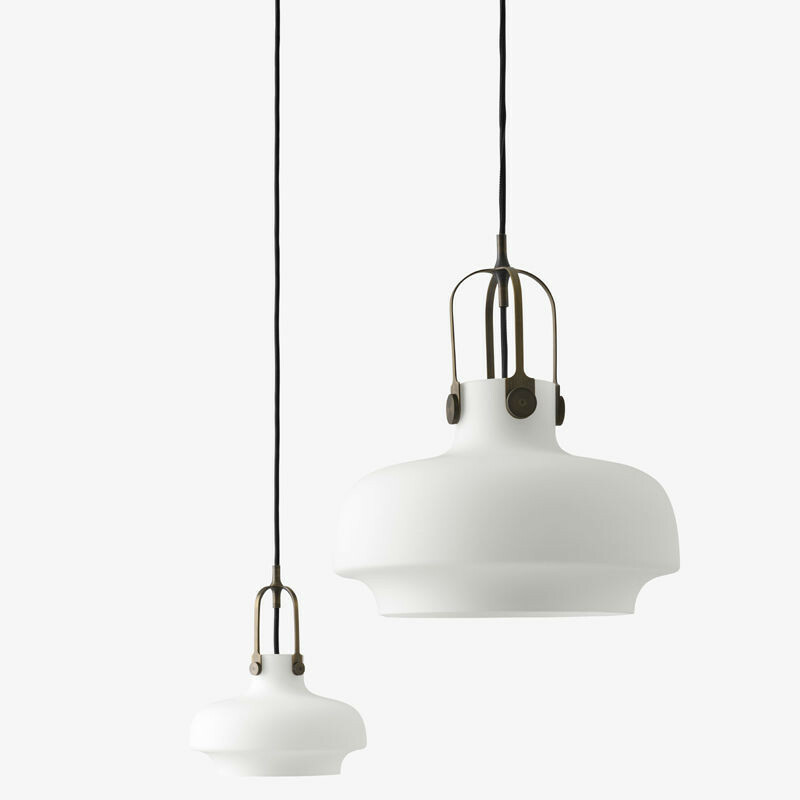 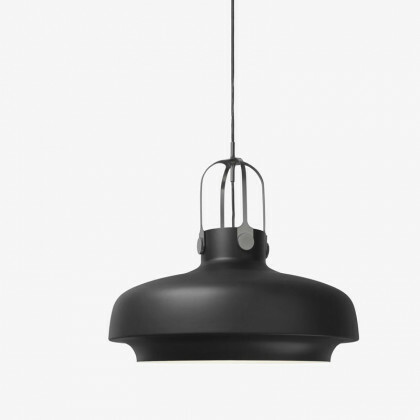 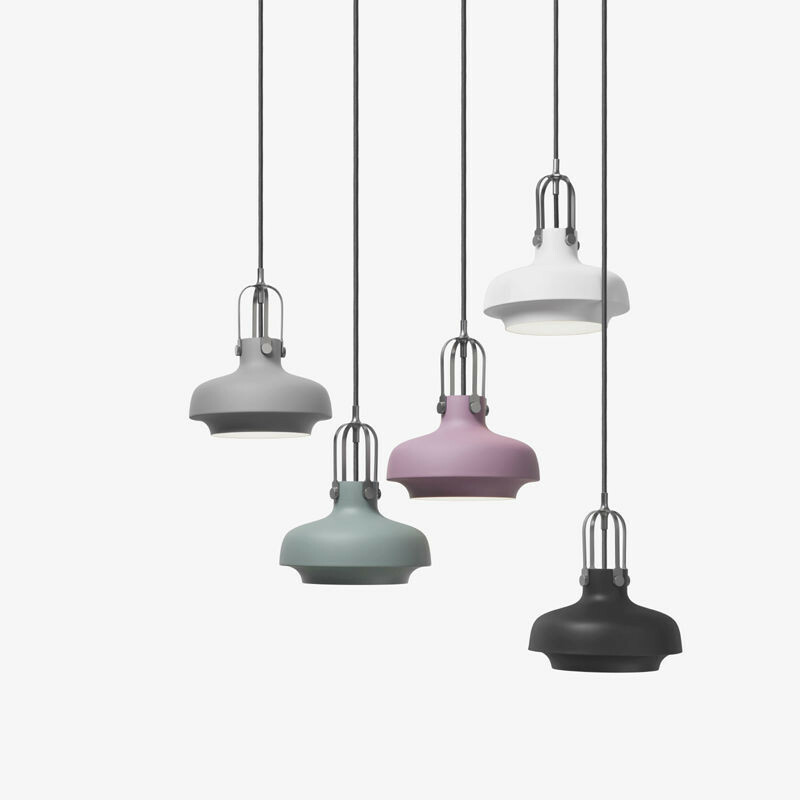 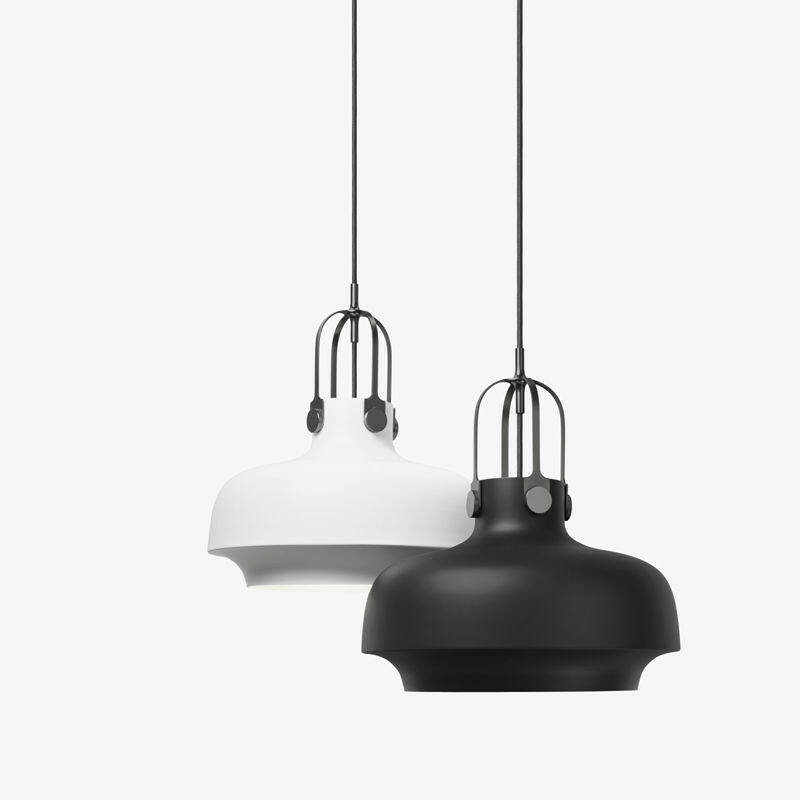 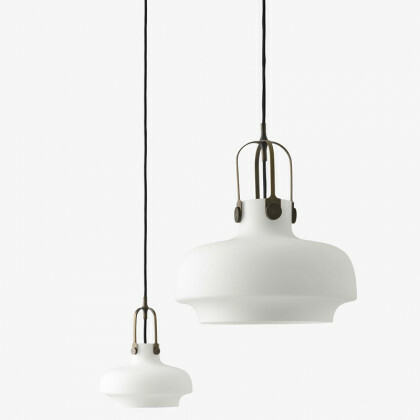 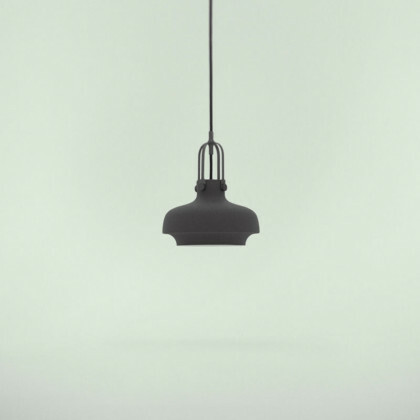 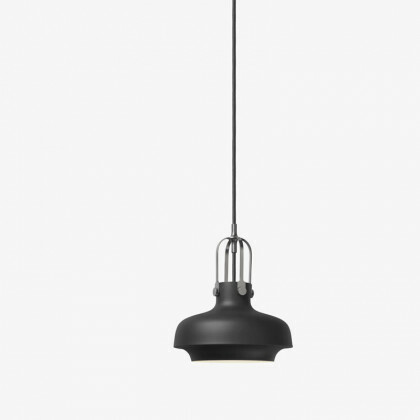 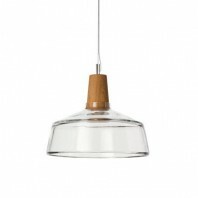 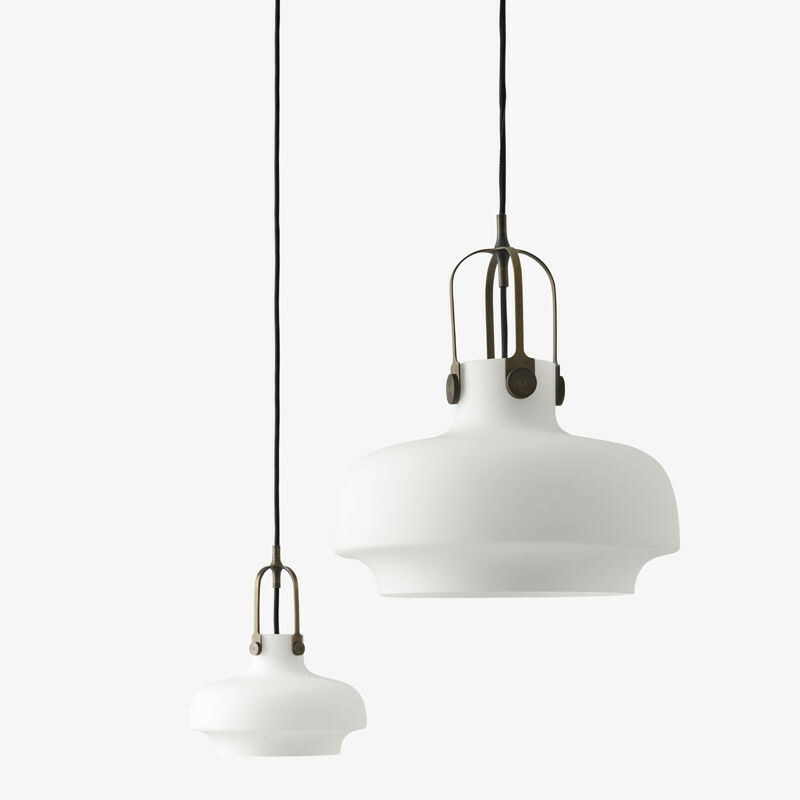 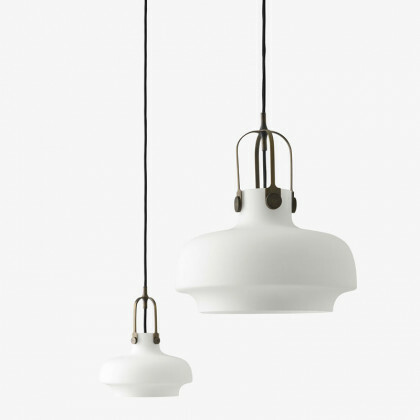 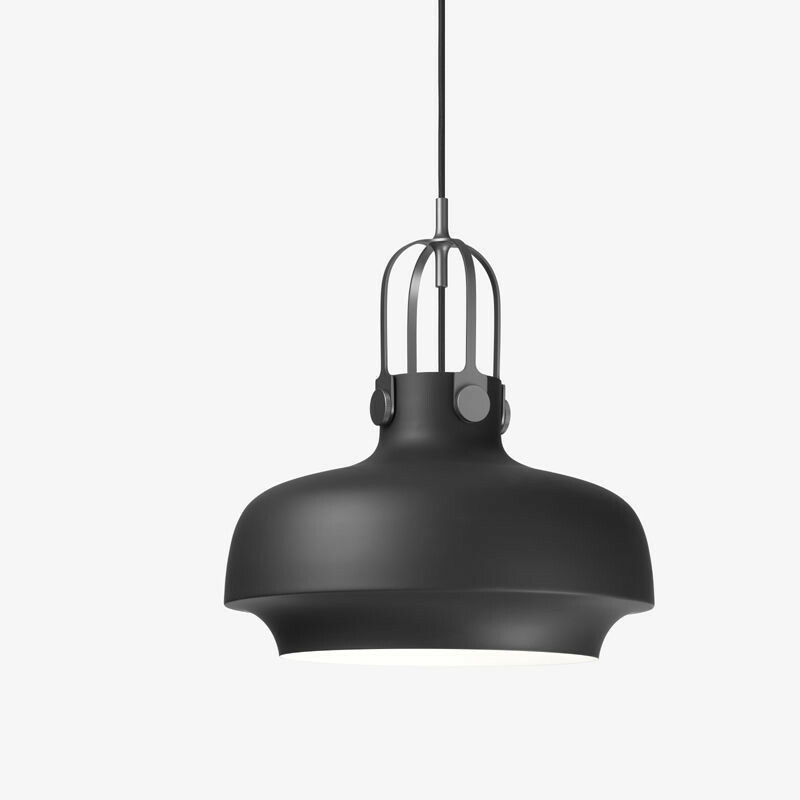 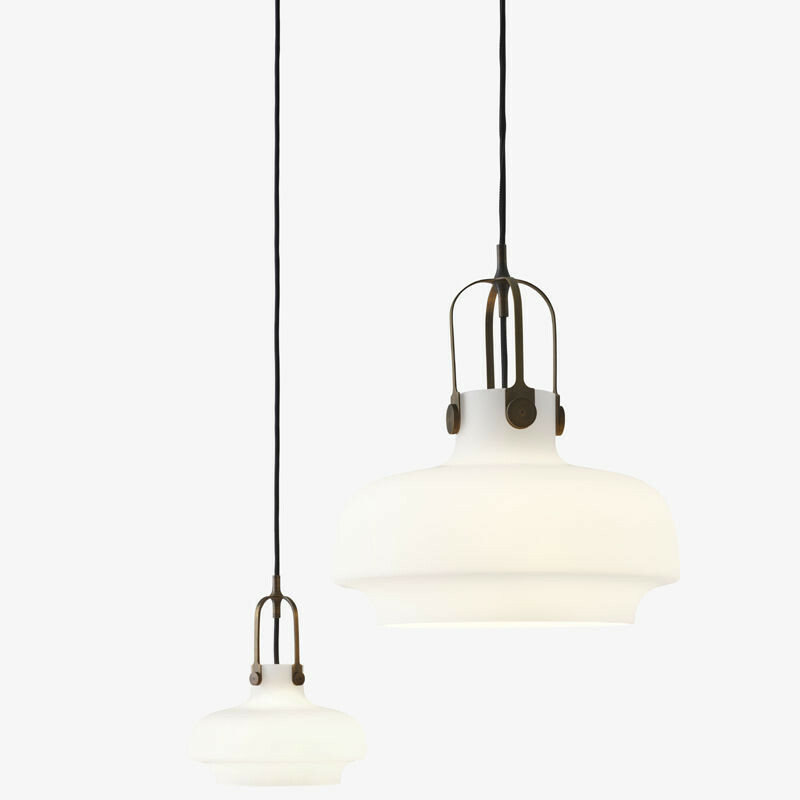 The Copenhagen Pendant light is a contemporary industrial masterpiece that features a unique and stand-out design. 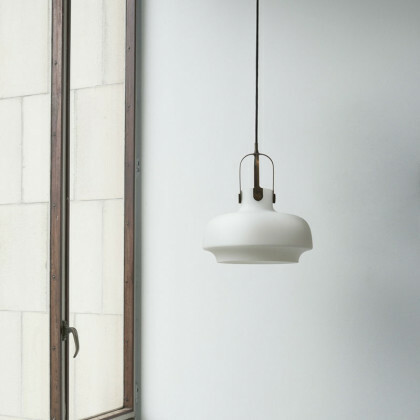 The overall aesthetic of this particular lamp strives to capture the ingenuity of the industrial revolution and convey its essence through a stringently unconventional design. 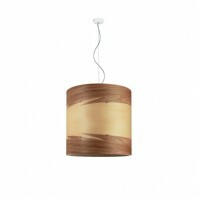 This pendent light is all beauty and grace with just the right amount of luxury. 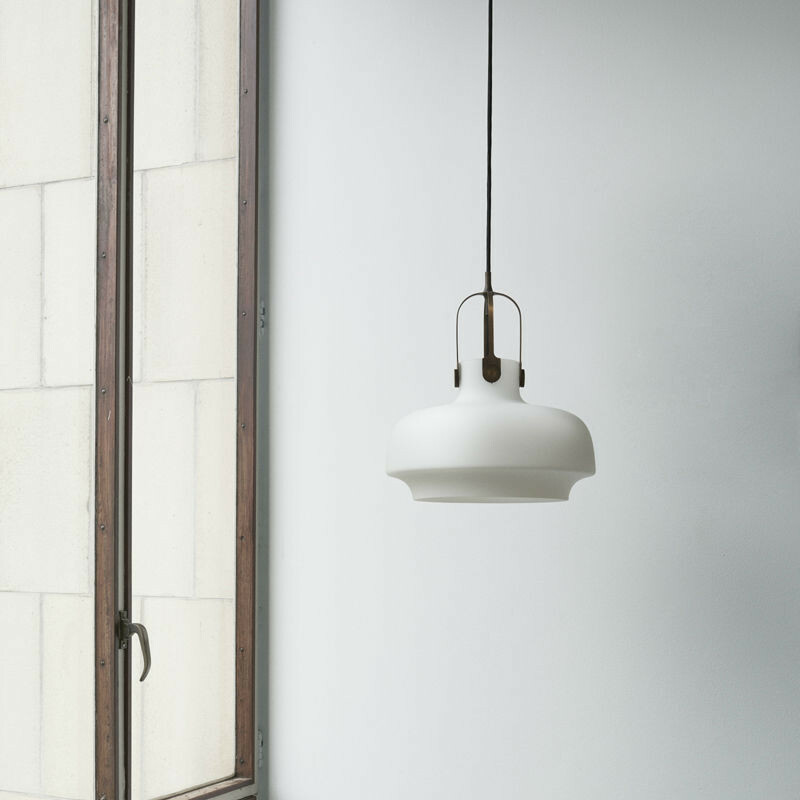 This pendent light was designed by Space Copenhagen, a respectable Danish design firm, and the idea behind its conceptualization was to convey a straightforward yet industrial vibe, that is both simple and graceful in articulation. However, the end product came out as a contradicting unit all on its own; featuring a blend of maritime, classical and industrial aesthetics in a single fixture. Sturdy and long lasting, the Copenhagen Pendant light is made up of lacquered steel shade that has been spun from a single sheet and is plated with steel suspension. 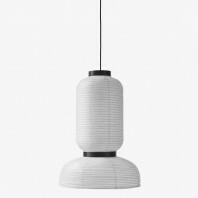 It hands from a 4 meter fabric cord. 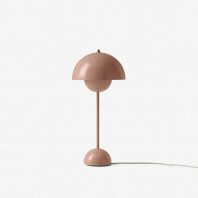 Not only is this lamp pragmatically versatile, but it also offers some unique styling choices that will help you make a more accurate selection according to your interior design style. 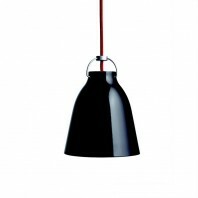 It’s available in a variety of colors including matt blush, matt slate, matt black, matt white and even opal glass. 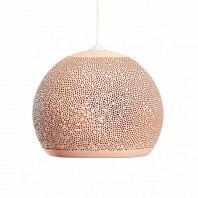 The opal glass version is handcrafted from mouth blown glass while its suspension is made from milled and laser cut bronze, and offers quite a distinctive look. 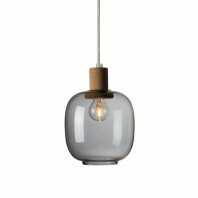 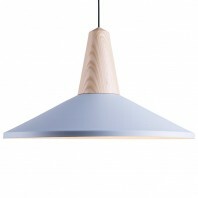 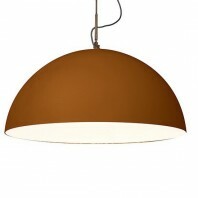 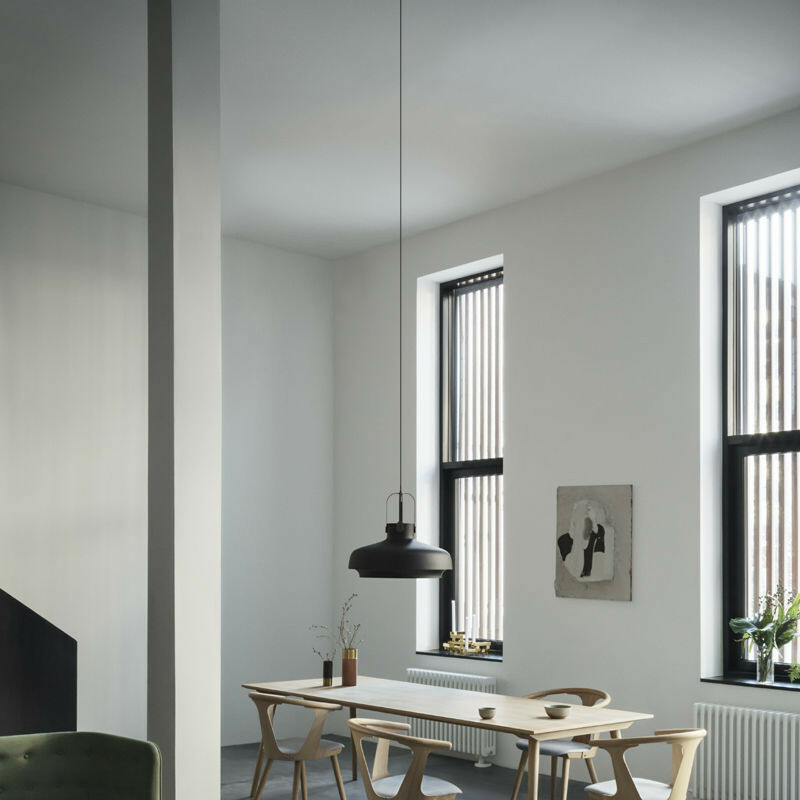 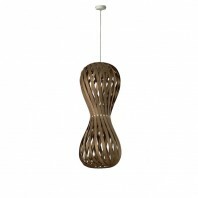 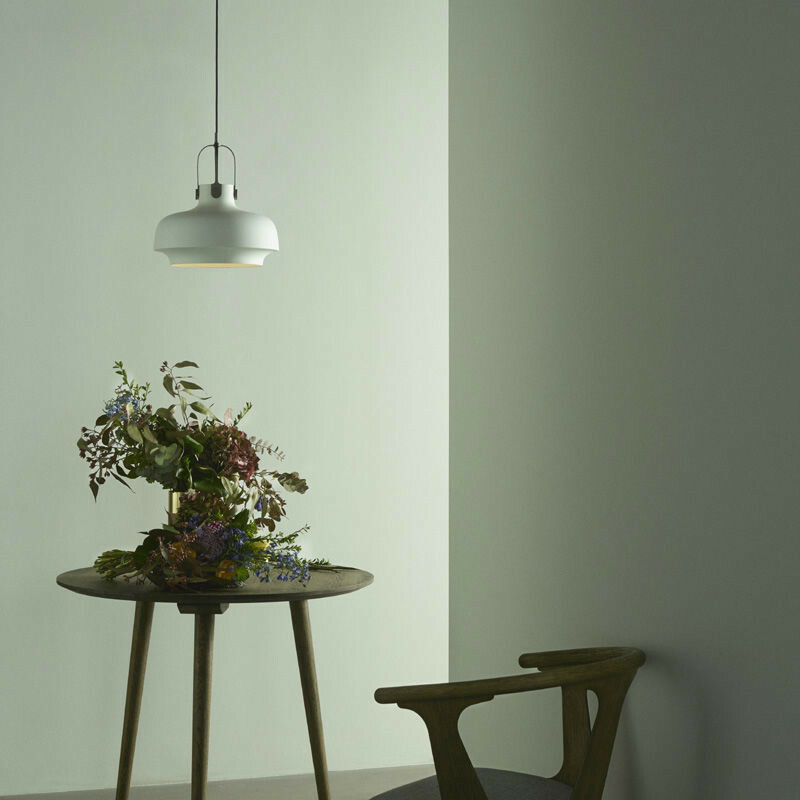 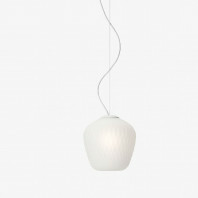 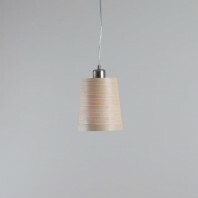 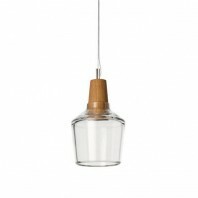 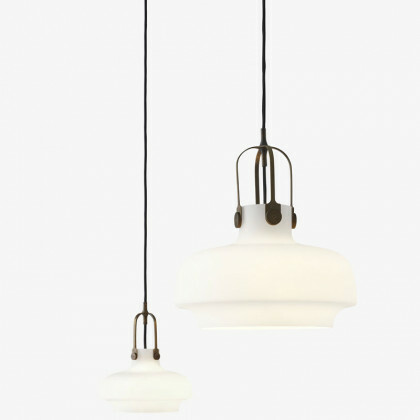 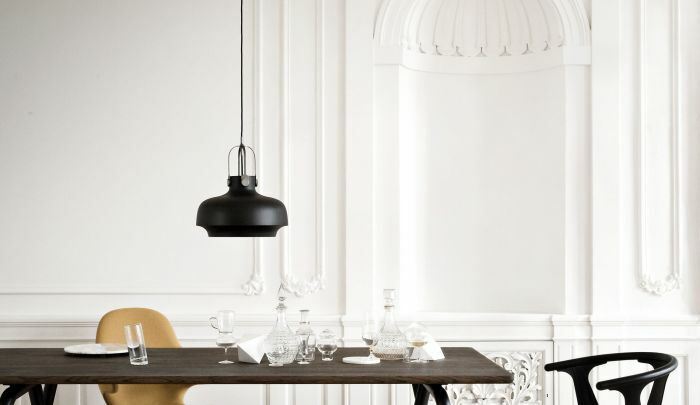 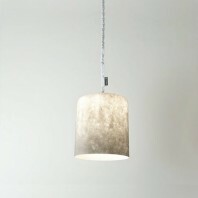 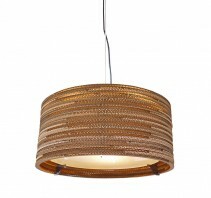 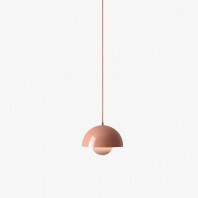 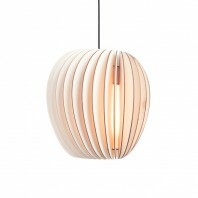 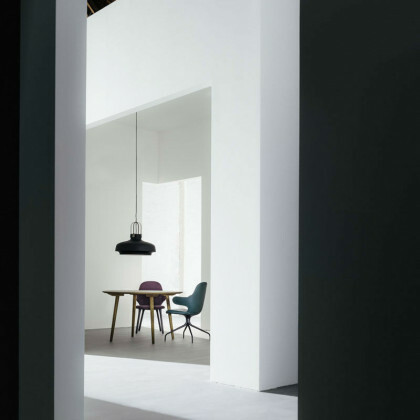 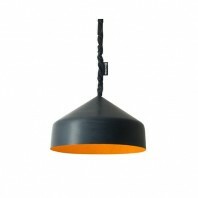 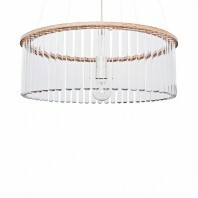 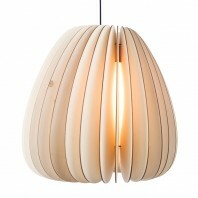 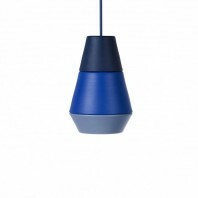 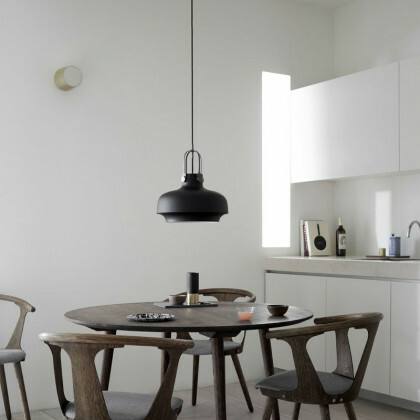 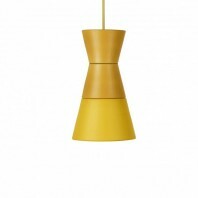 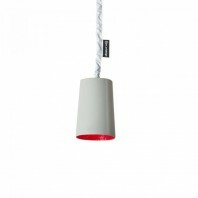 The Copenhagen Pendant light is a truly remarkable fixture. 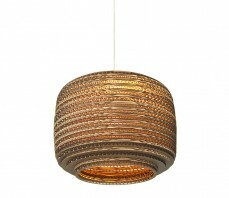 Its durable build and distinguished style make it one of the most coveted pieces from the &tradition collection. 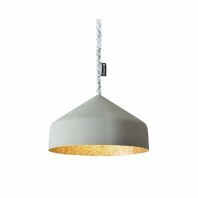 Material Lacquered steel shade & plated steel suspension, satinized opal glass with bronzed brass suspension. Max. 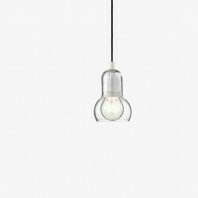 Watt SC6: Max 40 Watt. SC7: Max 100 Watt SC8: Max 150 Watt. 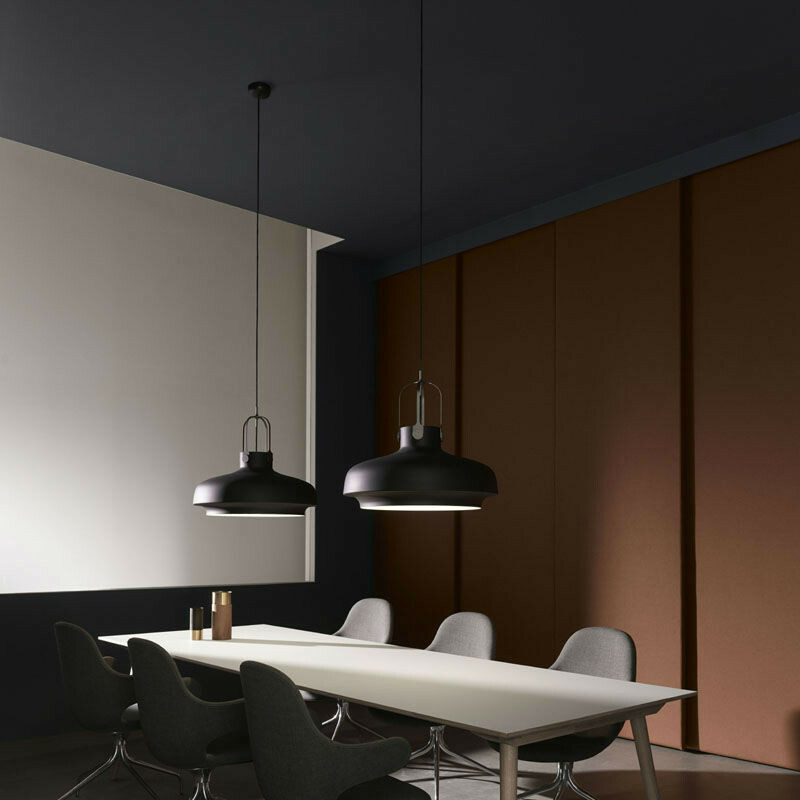 Technical information SC6: The luminaire is compatible with bulbs of the energy classes: B - E. SC7 & SC8: The luminaire is compatible with bulbs of the energy classes: A++ - E. Canopy included. 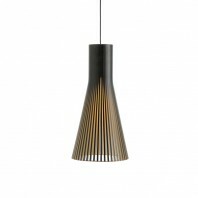 Remarks The shade is spun into shape from a single piece of metal and matt lacquered. 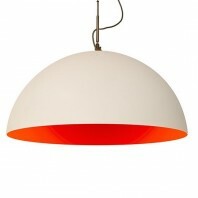 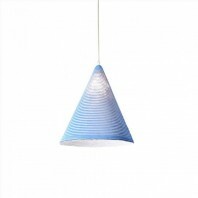 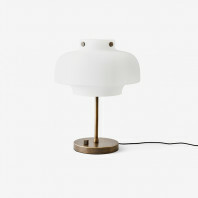 Opal version: The shade is made from mouth-blown opal glass. 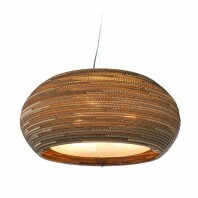 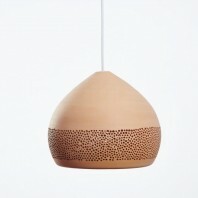 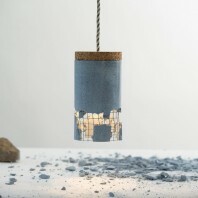 The suspension is made from milled and laser cut bronzed brass.